Hi loves! Today I want to show you a gel nail polish by Born Pretty Store: the Star Moon Gel BP-02 (*). I noticed that you are usually very interested in Born Pretty gel polishes and that’s why I’m glad to review them. This gel polish belongs to the Star Moon Gel line and it caught my attention due to its originality: it is a jelly purple with hex glitter of various sizes and quite big star shaped glitter. Actually, it sounds very interesting, doesn’t it? Sadly, even if the idea of this gel polish was great, there are several problems with the formula that I want to point out. First, the formula is thick and not easy to apply: it tends to shrink a lot and to drip on the sides of the nail. Moreover, it is not very opaque and the star shaped glitter have to be fished from the bottle, as they usually lay at the bottom. Personally I would recommend this item only if you like the colour and the finish so much that you can forgive the problems with the formula. Also consider that it’s quite a cheap gel polish, so you won’t have to spend too much. It costs 5.99 USD full priced, but you know that Born Pretty often discounts its products, so keep an eye on it! 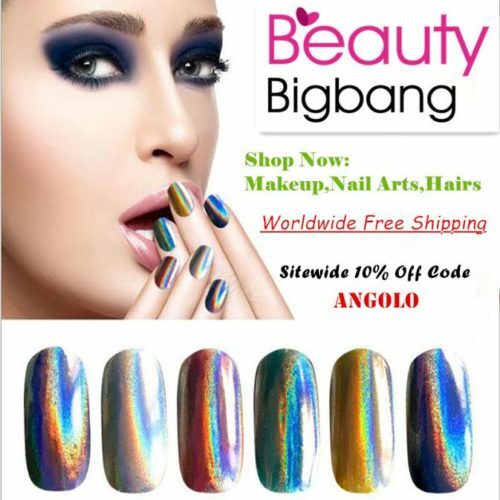 You can buy it from here: 10ml BORN PRETTY Holographic Star Moon Sequins Gel Bling Soak Off Manicure Nail Art UV Gel Polish. I have number 02, but it’s available also in different colours. Now, here’s some more information about this item: it comes in a 10ml bottle and it has to be cured under a LED or UV nail lamp (I used a 24W LED lamp). 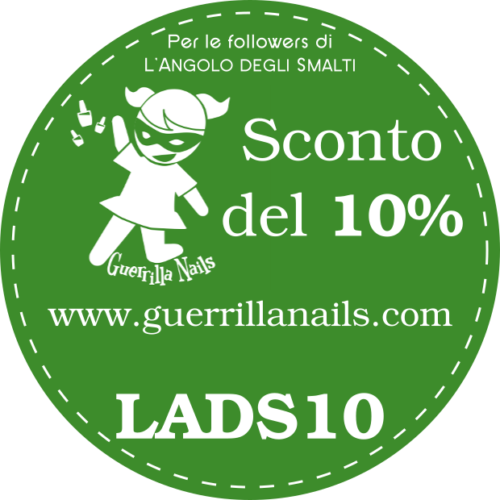 It is a soak off gel polish, so you can remove it by soaking your nails in gel polish remover for 10-15 minutes. In my pictures I wear 3 coats + gel top coat. I hope you enjoyed my review! Have you ever tried Born Pretty Store gel polishes? Oh, and don’t forget to use my 10% off coupon code DEGX31, available on Born Pretty Store shop for non discounted items!